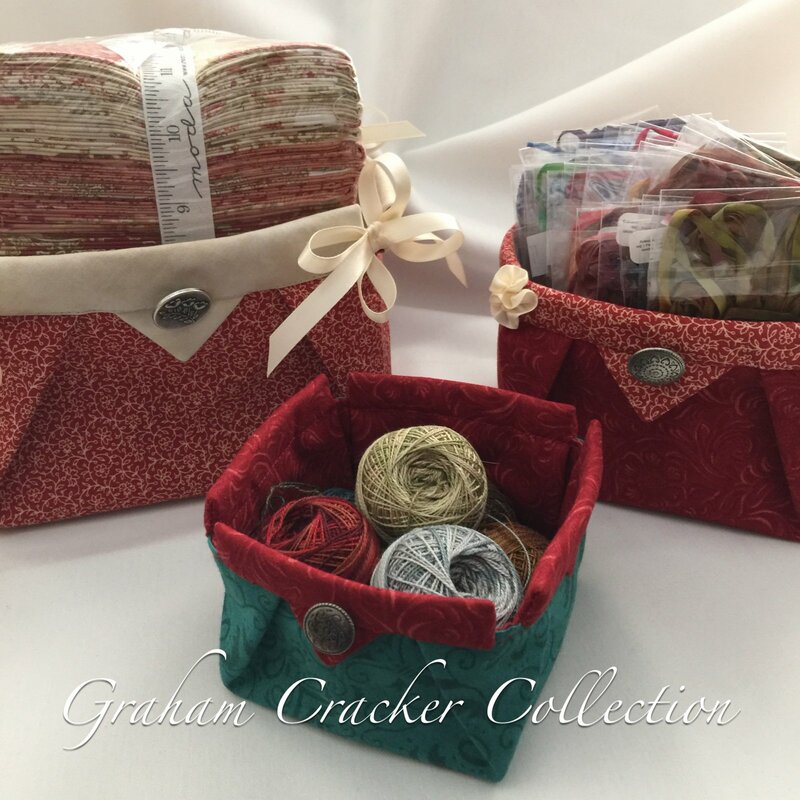 This set of three nesting baskets are great fun and easy to make and useful in any sewing room! They range in size from 4” to 5-1/2” to 7” square. Perfect as is made with coordinating fabrics or customize with touches of embellishment such as ribbons and buttons. With the holiday season upon us, use to gift your favorite cookies or cozy Christmas ornaments inside to display.